The roots of Seatek began with the experiences of the promoters which were gained working the subsea environment in the oilfields of North Sea, West Africa, South East Asia, Middle East and India. The grounding experience of the promoters covered projects such as Five Yearly IMR contracts, Field Development Works, Air, Mixed Gas and Saturation Diving, ROV support, Connecting FPSO to existing subsea facilities, Decommissioning FPSO, Client Representation for subsea intervention works, Mobilisation and demobilisation of offshore projects. Seatek Oil & Gas Services LLC. 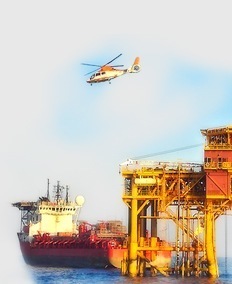 Our Client Base includes major offshore contractors, offshore drilling companies, offshore asset owners undertaking projects in India, South East Asia and the Middle East.Our future success will depend on earning and maintaining the confidence and loyalty of our clients by providing the highest level of service and expertise. Being completely independent and wholly owned allows us to be totally flexible and agile.